The Fashion Design Council of Canada (FDCC) is a non-government, not-for-profit organization co-founded in 1999 by Pat McDonagh and Robin Kay. Their mission is to showcase Canadian fashion design nationally and internationally as well as introducing foreign designers to local Canadian markets. The FDCC aims to connect "designers, media, buyers, sponsors, and industry. Profile’s new strategic direction makes it the biggest apparel trade show, providing retailers with the largest selection of products and services enabling them to excel in the fashion industry. True to its name, Profile brings together the best selection of apparel & accessories that includes all segments – women’s, men’s, young contemporary/junior labels, children’s and lifestyle brands. 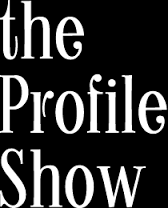 The Profile Show is operated by the Ontario Fashion Exhibitors Inc. (OFE). We have recognized a few gaps and opportunities in the Canadian Fashion Industry in regards to development of innovative products and services. With Canadian fashion jobs increasingly being outsourced, the goal of the Fashion Zone is to promote entrepreneurship as a viable career path for prospective entrepreneurs interested in fashion. TOM* is the definite men's magazine of Toronto, a printed and digital version of all things men's fashion; taking readers through a journey of exclusive interviews with featured designers, luminaries and celebrities.